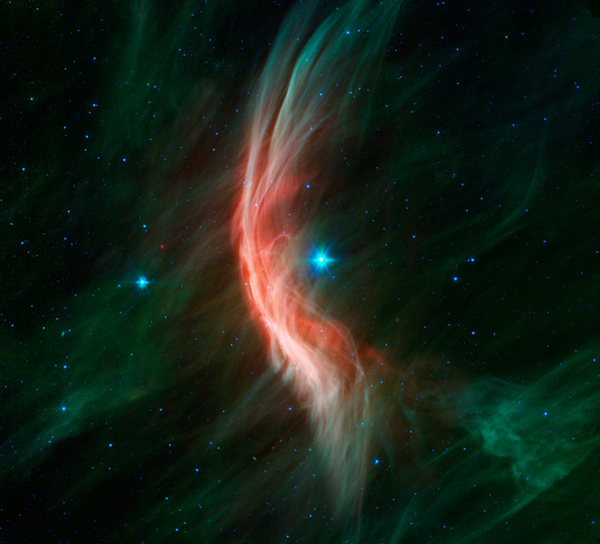 The beautiful, wispy effect of the giant star “Zeta Ophiuchi” on its surrounding clouds in space! Here’s a new photo of a spiral galaxy located about 35 million light-years from Earth, which in cosmic terms is relatively close! The galaxy is called “NGC 1637.” The bluish trails of stars around the edge of the galaxy are young stars. The photo was taken by astronomers with the European Southern Observatory’s “Very Large Telescope” at the Paranal Observatory in Chile. 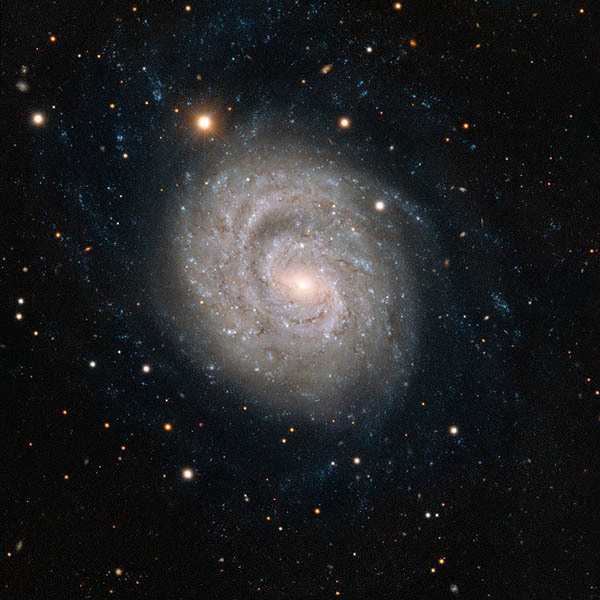 In 1999 the Lick Observatory in California reported the discovery of a new supernova in the spiral galaxy NGC 1637. It was spotted using a telescope that had been specially built to search for these rare, but important cosmic objects. Follow-up observations were requested so that the discovery could be confirmed and studied further. This supernova was widely observed and was given the name SN 1999em. After its spectacular explosion in 1999, the supernova’s brightness has been tracked carefully by scientists, showing its relatively gentle fading through the years. The star that became SN 1999em was very massive — more than eight times the mass of the Sun — before its death. At the end of its life its core collapsed, which then created a cataclysmic explosion. 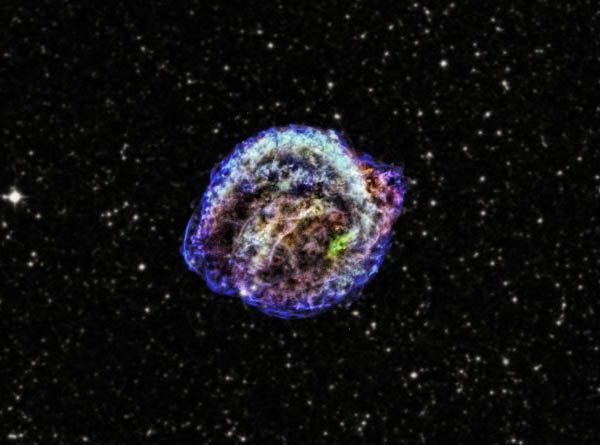 The remnant of Kepler’s supernova, the famous explosion that was discovered by Johannes Kepler in 1604. A new study has used Chandra to identify what triggered this explosion. It had already been shown that the type of explosion was a so-called Type Ia supernova, the thermonuclear explosion of a white dwarf star. These supernovas are important cosmic distance markers for tracking the accelerated expansion of the Universe. This is a beautiful video taken on the Gaislachkogel Mountain, Oetztal, Austria of Comet PanSTARRS!